Our historic building dates back to 1883 and offers a unique atmosphere that our patrons don’t soon forget. The newly renovated interior offers state-of-the-art technology and a fun, comfortable setting. 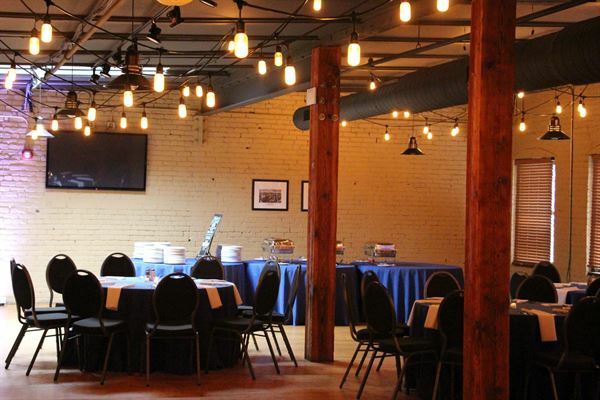 We’ve proudly hosted hundreds of events over the last decade, including ceremonies, receptions, presentations, rehearsal dinners, graduations, and reunions—and we’d love to host yours! The building is centrally located in North Downtown Omaha, just a stone’s throw from several renowned hotels, the CenturyLink Convention Center, and TD Ameritrade Stadium. With four rooms to choose from accommodating parties of 20–300, events at The Matt are highly customizable, stress-free, and a ton of fun. We’re here to deal with the details.